Dedicated, reliable and user-friendly products that fit your specific application requirements and reduce your total cost of ownership. 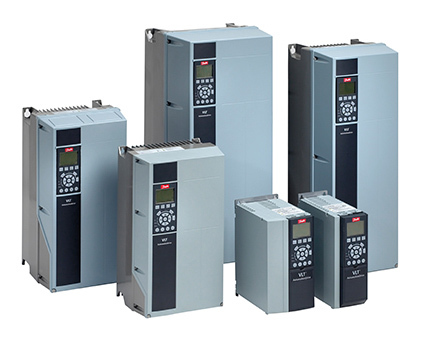 Danfoss AC drives are independent of motor manufacturers and adapt to any motor technology. The VLT AutomationDrive is built on a flexible, modular design concept to provide versatile control. Its robust construction ensures maximum uptime. It comes equipped with a wide range of standard industry features which can be expanded with ‘plug-and-play’ options. The user-friendly graphical control panel ensures the drive is easy to set up and operate saving commissioning and operating costs. The VLT AutomationDrive can also be used with applications that need to perform high-precision positioning and synchronization operations. The Integrated Motion Controller (IMC) functionality is now configurable in the drive’s software. No additional modules or hardware are necessary. The performance of the VLT® AutomationDrive FC 302 is enhanced without complexity thanks to the Integrated Motion Controller (IMC). Providing servo drive functionality, high-precision scaled positioning and synchronizing tasks are simple to perform, commissioning is fast and safe, and programming is easy (no special programming language is required). IMC is configurable in the drive’s software. No additional modules or hardware are necessary. Conveyors, positioning and synchronizing, cranes, mixers, centrifuges and palletizing and packaging machinery. The considerable daily load variation in water or wastewater treatment plants makes it economically feasible to introduce motor control on rotating equipment such as pumps and blowers. 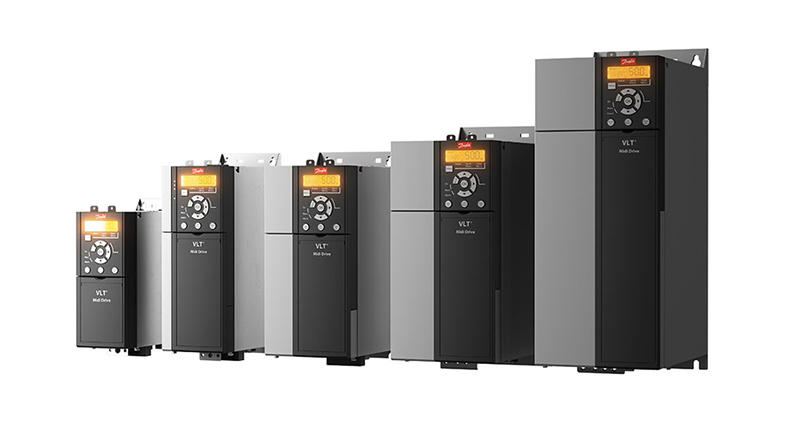 The new generation VLT AQUA Drive can realistically offer first-year cost savings of between 10–30% compared to traditional drive solutions. Its high lifetime availability and low energy consumption and maintenance costs provide you with the lowest cost of ownership. The quick and user-friendly setup of water and pump settings reduces installation time ensuring a fast route to maximum energy efficiency and motor control. By collecting the most important parameters in one place, the risk of incorrect configuration is reduced significantly. The drive is the most compact unit in its class. Integrated DC coils reduce harmonics to an absolute minimum, and the Automatic Energy Optimizer saves 15-25% energy from the second you turn the it on. Achieve the lowest cost of ownership with a premier drive dedicated to ventilation, heating, and refrigeration applications. 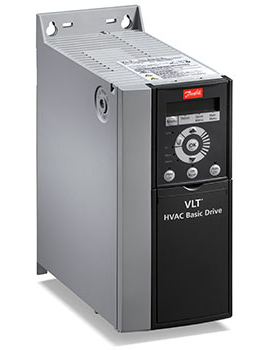 The VLT® HVAC Drive is designed to bring optimized process control to all heating, ventilation and air conditioning (HVAC) applications. Easy to use and with built-in intelligence, the drive is fast and cost-effective to commission, and it has the capacity to control multiple high-efficiency permanent magnet motors in parallel. It features a wide range of functions specifically developed for use with, for example, pumps, fans and compressors to save energy, meet environmental regulations and reduce costs in modern buildings. The compact design of the VLT® HVAC Drive and its efficient heat management system mean it is ideal for applications where drive space is restricted. A selection of safety features, such as Safe Torque Off and Safe Maximum Speed, protect both applications and their operators. Maximum uptime is ensured as this robust drive offers problem-free operation in harsh environments. Enclosures are available up to IP 66 (depending on the model). And a special coating is available as an option to provide extra protection for circuit boards. Integrated DC chokes and RFI filters safeguard installations by minimizing harmonic distortion and electromagnetic interference. 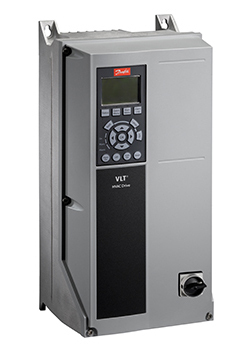 The VLT® Refrigeration Drive FC 103 is designed to help significantly reduce the lifecycle costs of your refrigeration systems. It offers efficiency- and reliability-enhancing features, integrated process control functions and a commissioning environment specially designed to meet the needs of refrigeration applications. It also features a setup Wizard which uses common refrigeration terms. This makes installation and commissioning easy and safe for refrigeration technicians and installers. The continuous variable speed control provided by the VLT Refrigeration Drive makes intelligent capacity control possible. By creating stability while balancing the capacity to the actual load, system-wide coefficient of performance improves providing significant energy savings in a wide range of applications. The drive contains all modules necessary for compliance with EMC standards. The integrated, scalable RFI filter minimizes electromagnetic interference, and the integral DC link chokes reduce harmonic distortion in the mains network. As these features are built in to the drive in the factory, cabinet space can be reduced. Efficient EMC mitigation also enables the use of cables with small cross sections which reduces installation costs. Pumps, fans, compressors, condensers and evaporators. For precise and efficient motor control for machine builders in the food and beverage, material handling and processing industries, the VLT® Midi Drive is ideal. it is strong on control performance, functional safety and flexible fieldbus communication. 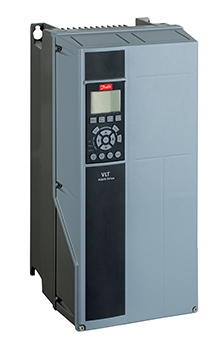 VLT® Midi Drive is designed for compatibility with the VLT® 2800. Its exterior dimensions, connectors, cable lengths and set-up software tools allow you to easily retrofit an established drive panel. Conveyors, mixers, packaging systems, pumps, fans and compressors. 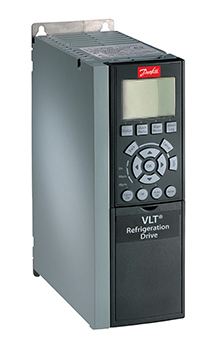 Designed for simplicity and robustness, the VLT® Decentral Drive FCD 302 is a user-friendly product with high performance and a strong protection degree. A decentral-drive solution eliminates the need for space-consuming control cabinets. And, with the drives placed near the motor, there is no need for long-screened motor cables. With the VLT Decentral Drive FCD 302, all the options are built into the unit reducing the number of boxes to be mounted, and the connections and terminations in the installation. As a result, labor costs and the risks of failure are dramatically reduced. With its IP 66 enclosure, the VLT Decentral Drive FCD 302 is ideal for conveyor applications, sorter systems, installations in wash-down areas or widely distributed applications with a large number of drives in, for example, the food and beverage and materials-handling industries. 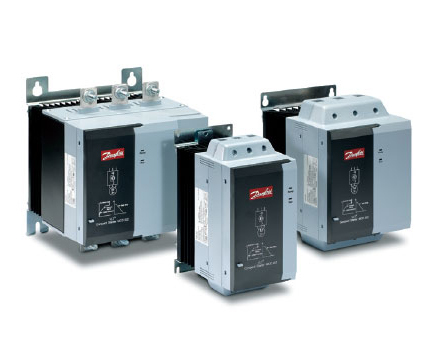 Danfoss Drives soft starters are used to temporarily reduce the load and torque by limiting electric current surge of an AC motor during start-up. This reduces both mechanical and electrodynamic stresses to extend the lifetime of the system. Centrifugal pumps and fans, conveyors, crushers, grinders, mixers, compressors, centrifuges, mills and saws. Decentral drives can be mounted close to motors. This eliminates the need for a designated control room and complex cabling which dramatically reduces design and installation costs. The VLT® OneGearDrive® is a highly efficient, permanent magnet, three-phase synchronous motor coupled with an optimized bevel gear box which helps to optimize plant productivity and reduce energy costs. With only one motor type and three available gear ratios, the motor concept covers all typical versions of conveyor drives commonly used in the food and beverage industry. The reduced range of physical configurations reduces costs and simplifies spare-part storage. Uniform mechanical dimensions reduce engineering and installation time and costs. The drive comes in two versions: Standard for use in dry and wet production areas and Hygienic for use in wet areas and environments with high cleaning intensity including aseptic and cleanroom production areas. The active filter analyzes load-applied harmonics and compensates these by active counter-control.The active filter analyzes load-applied harmonics and compensates these by active counter-control. Optimised harmonic performance for VLT® frequency converters rated up to 250 kW. 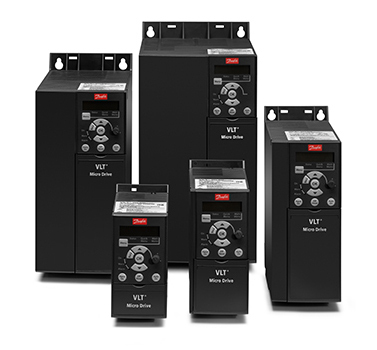 The VLT® Advanced Harmonic Filter has been specially designed to match the Danfoss frequency converters for unmatched performance and design. The filter is available in two variants, AHF 005 and AHF 010. 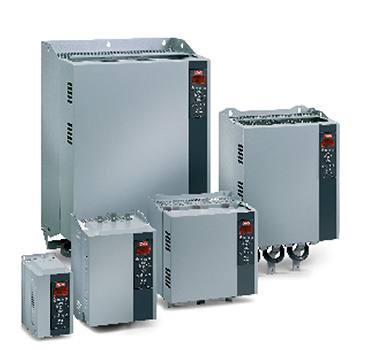 When connected at the input to a Danfoss VLT® frequency converter, the harmonic current distortion generated back to the mains is reduced to 5% or 10% Total Harmonic Current Distortion (THiD) at full load. 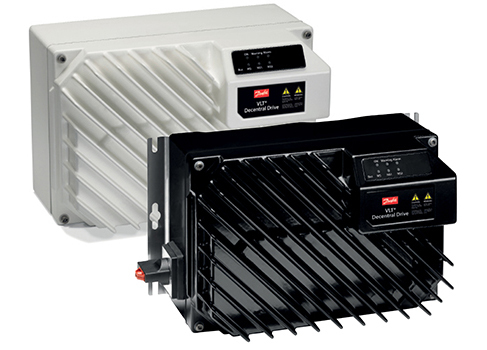 With effi ciency exceeding 98 % the passive filters AHF 005 and AHF 010 offer cost-effective and very robust harmonic solutions specifically for power ranges up to 250 kW. As stand-alone options the advanced harmonic filters feature a compact housing that is easily integrated into existing panel space. This makes them well-suited for retrofi t applications with limited adjustments of the frequency converter. Output filters protect the motor and cable insulation, reduce acoustic motor noise and reduce bearing stress. Parallel filter installation is possible for applications in the high power range. VLT® Sine-wave Filter MCC 101 output filters are differential mode low-pass filters that suppress the switching frequency component from the drive and smooth out the phase-to-phase output voltage of the drive to become sinusoidal. This reduces the motor insulation stress and bearing currents. By supplying the motor with a sinusoidal voltage waveform, the switching acoustic noise from the motor is also eliminated. The sinusoidal voltage supply to the motor reduces hysteresis thermal losses in the motor. Since the motor insulation lifetime is dependent on the motor temperature, the sine-wave filter prolongs the lifetime of the motor. The sinusoidal motor terminal voltage from the sine-wave filter furthermore has the advantage of suppressing bearing currents in the motor. This reduces the risk of flashover in the motor bearings and thereby also contributes to extended motor lifetime and increased service intervals. All filters are designed and tested for operation with the VLT® AutomationDrive FC 302, VLT® AQUA Drive FC 202, and the VLT® HVAC Drive FC 102. They are rated for the nominal switching frequency of the FC series and therefore no derating of the drive is needed. The enclosure is designed to match the look and quality of the FC series drives.